You can't tell the story of gun violence in this country without talking about domestic violence. On average, women in the U.S. are 11 times more likely to be murdered with guns than they are in any other developed nation. And more than half of all women killed with guns in our country are murdered by their partners. That's why we're calling on senators to co-sponsor an important bill that would help keep guns out of the hands of domestic abusers and stalkers. Use the form on the right to sign the petition to your senators now. NOTE: If you or someone you know is affected by domestic violence there is help available. Call the National Domestic Violence Hotline at 1-800-799-7233 for free, confidential support. I'm writing as a constituent to urge you to co-sponsor S. 1290, Sen. Amy Klobuchar's bill that would close loopholes in federal law that permit domestic abusers and stalkers to get their hands on guns. 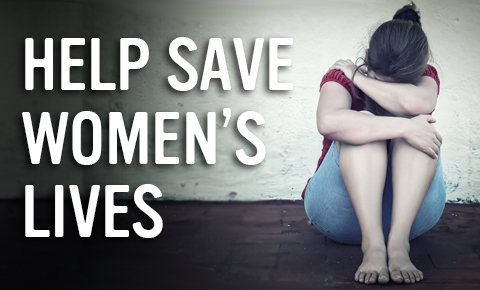 This is an urgently needed piece of legislation that will save women's lives. Women in the U.S. are 11 times more likely to be murdered with guns than they are in any other developed nation. And more than half of all women killed with guns in our country are murdered by their partners. We need to do more to stop gun violence against women. I hope I can count on your support for this bill. "I urge you to co-sponsor the Protecting Domestic Violence and Stalking Victims Act (S. 1290)." Zo and Pat B. just signed the Urge Your Senators to Co-Sponsor S. 1290 petition. Kayla P. just signed the Urge Your Senators to Co-Sponsor S. 1290 petition. Margaret-Mary L. just signed the Urge Your Senators to Co-Sponsor S. 1290 petition. Mary Jane B. just signed the Urge Your Senators to Co-Sponsor S. 1290 petition. Timothy M. just signed the Urge Your Senators to Co-Sponsor S. 1290 petition.